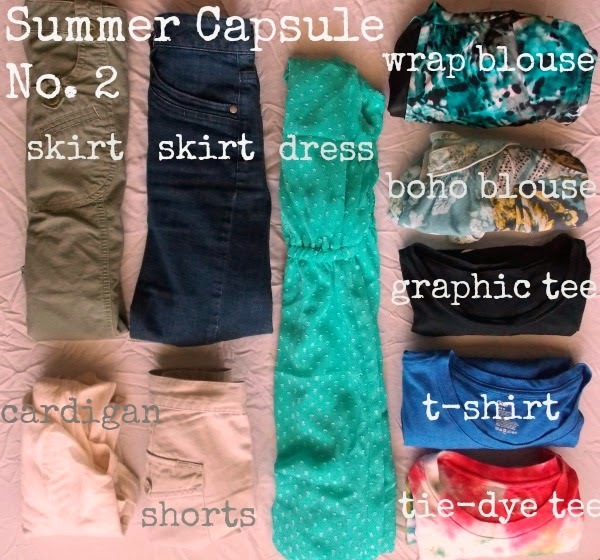 For July's capsule, I added more tops since it's unlikely I'll need more than one cardigan during July. I have two skirts this go-around because I wanted a breezier variety for the bottom items. I'm reusing a few of the items I put in the last capsule because I love them and wear them often. After all, the point of this is to have less clothes and use the ones I have, right? This is a more casual wardrobe for summer vacation because I know this is what I'll actually be wearing. I'll post the 25 outfits from this set of 10 items on the last Friday of this month, July 25th.